The definition of a cooking sale is a sale you believe you have a reasonable chance of closing. Some sales are obviously cooking, for example, the buyers are coming back for a second inspection. These sales are usually the only ones that are given in answer to the “What have you got cooking?” question. To get the obvious cookings is not why your leader asks the ‘cooking’ question. The purpose of examining the cookings is to help you to uncover the hidden sales. People who call themselves buyers have been in your car, or walking through your open homes, during the past month. Not every one of these bought a property. Assuming that you qualified these people properly, you were calling them ‘buyers’ too. So, why haven’t they bought? Possibly you didn’t have a property to suit them. If this is the case, and if these people really are ready to buy, then what have you done about finding a property for them? I am talking about prospecting. You should never let a good buyer buy from another agency. Go out looking for a home for these buyers. Show them that you aren’t one of those wimps who says, “I’ll call you when something comes up,” then does nothing. Another possibility is that you did have a property for your buyer but you missed an important clue. Sometimes we are too quick to dismiss our buyers because they don’t seem too fussed about making an offer on one of the properties we showed them. So, we let them leave, and with them, goes a sale. Winning offices and salespeople use this popular method for uncovering hidden sales. It’s called, Shake Your Diary. You might like to go and get your diary and we’ll see how it works. Without referring to your diary, take a sheet of paper and write down each sale that you think you have cooking. Do this ‘off the top of your head’. How many sales do you have cooking? One, two, three? Oh, come on. Is that it? Now shake your diary. Go back over the last month and examine each buyer that inspected properties with you. How did you leave each other? What was the last thing that was said? When was the last time you telephoned the buyer? In your mind, build a picture of the property you think they will buy. The logic of doing this is simple. You are thinking whether there is now a property on the books that will suit these buyers. You are also trying to think of any ‘buying signs’ that you might have missed and your chances of reviving a sale on a property that the buyers have already inspected. As ridiculous as it sounds I once heard a salesperson say, when asked what a buyer thought of a property they had just inspected, “They loved it!” When I asked the salesperson why she didn’t have this property cooking, she said, “Oh, they didn’t want to buy it,” but she could not tell me why the couple didn’t want to buy a property that they said they loved. Did the buyers really love the house, or were they just saying that to be polite? If they really did love the house, then let’s go and do the paperwork and help them own it. If they balk at that, then more questions need to be asked. Questions stimulate offers. If the buyers really love the house but don’t offer, they probably think it is too expensive. Have the courage to ask. Price Adjustments lead to love. How many times have you seen a buyer who said they were not interested in a property become very interested after a price adjustment? Would a price adjustment clinch the sale? If so, the lister should visit the seller and obtain one. Then call the buyer to arrange a second inspection. More than likely these actions will create a cooking sale. Second inspections are always cooking. How many buyers do you have who are coming back for second or subsequent inspections? For some reason, many salespeople book second inspections, but don’t think of the property as a cooking sale. One word of warning about second inspections. Be careful that you don’t train your buyers not to buy. When you book second inspections, you have every right to ask your purchasers, “If you both decide that you like this property after another look, will you buy it?” If you receive an evasive answer to this question, don’t book the second inspection. Your time is too valuable. The more often your buyers are allowed to view properties without any obligation to purchase the property that they say they like, the greater the likelihood of training the buyers not to buy. 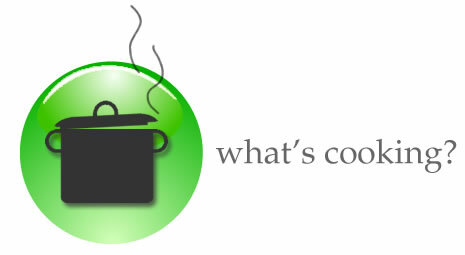 Each day, ask yourself, “What’s cooking?”. Ask yourself again and again. Examine every buyer that you appointed. Why didn’t they buy? What will induce them to buy? Which property will these people buy? Shake your diary. Think. Make sales.